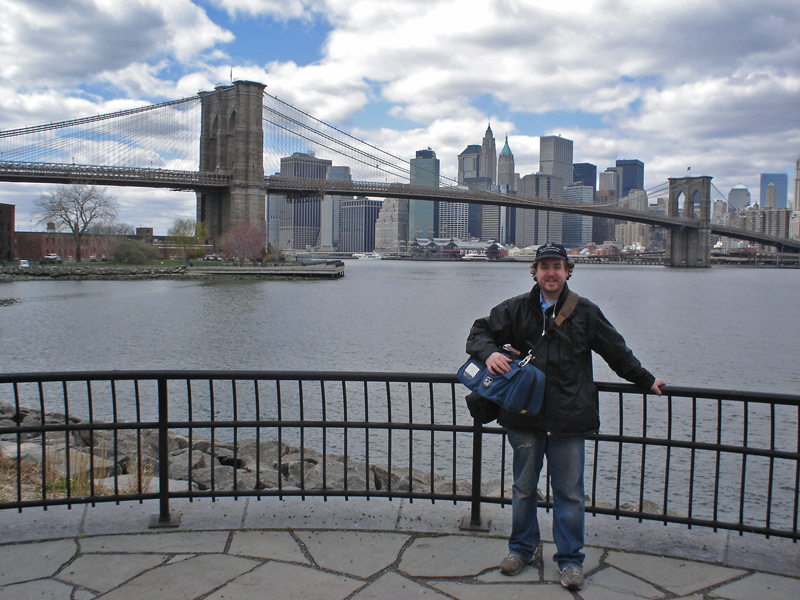 Here I am in Brooklyn doing some solo B-Roll shooting with a small DV camera and a tripod on my back. That day I hit four out of five New York City boroughs, attempting to get as many classic NYC shots as posssible in a single day (on foot and subway only, no car!). I paused long enough to take a picture for some tourists and had them return the favor for this great shot of the Brooklyn Bridge.